With its continuous conveyor line, easy chain can accommodate different production lines in the first and second packaging zones and intelligently connect downstream processes. 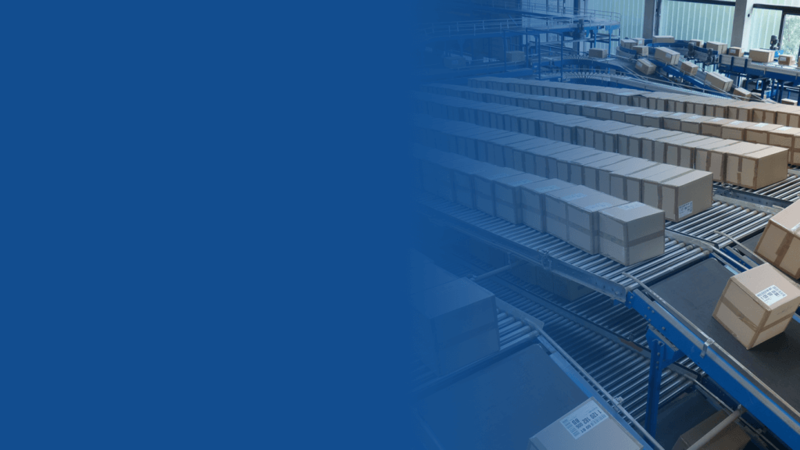 In so doing, advantages will arise from the properties of a chain conveyor in the areas of throughput, variable connection of remote processes – for example on different floors – as well as the option of dynamic buffering via the loop. The easy chain conveyor system also enables flexible and individual allocation of conveyed goods to downstream processes, and thus boosts process security. Filling processes generally demand a reliable feed of high numbers of undamaged empty containers. As a continuous conveyor, the easy chain conveyor system guarantees a high throughput, and as a plate chain conveyor, it assures gentle, transfer free transport of the products without restricting capacity. When stoppages occur in the filling process, the loop enables the neat recirculation of empty containers to the loading point. 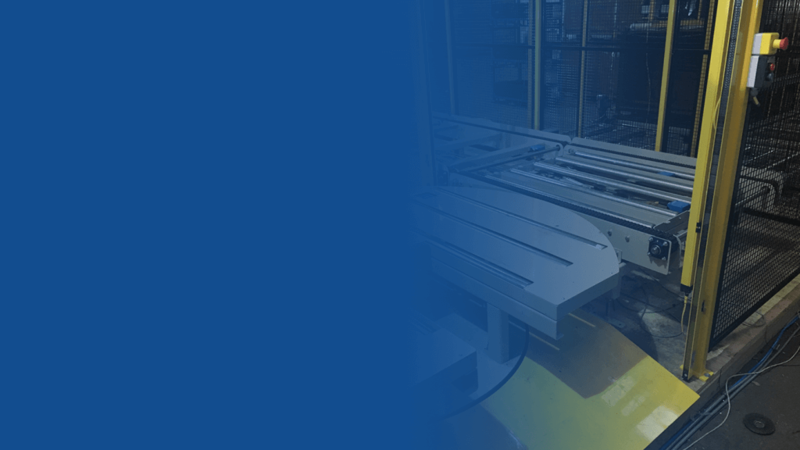 Whether it’s food, beverages, pharmaceuticals, care products or other manufacturing processes, the easy chain conveyor system is the ideal partner for innovative material flow solutions in process logistics. 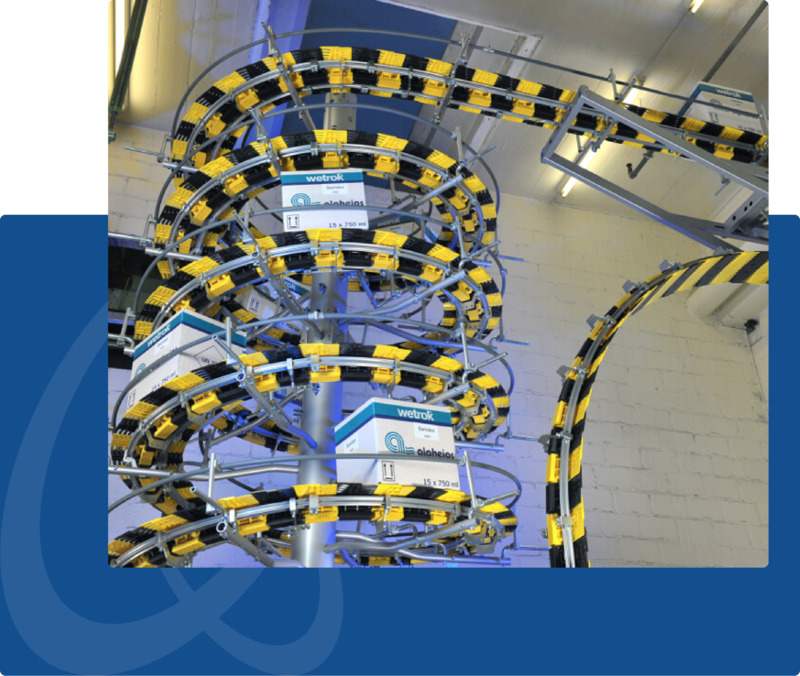 Easy chain is the perfect name for a flexible conveyor system with a simplicity that’s ideal for challenging, multidimensional layouts. The roller-mounted supporting plates can negotiate virtually any layout with very low friction and abrasion. The rollers reduce energy consumption too. easy chain can handle even the most complex tasks. The modular conveyor system has only a few components. They are assembled using plug, clip and screw connections. And because the chain can be pushed as well as pulled, the drive station can be placed anywhere along a straight section. An installation can be modified, extended and even shortened with little effort, and is therefore ready today for the tasks of tomorrow.